A sessions court in Bengaluru had cancelled the anticipatory bail granted to Janardhana Reddy's aide Mehfuz Ali Khan after the Crime Branch requested the court that he needs to be questioned under judicial custody in order to determine the trail of Rs 20 crore funds. 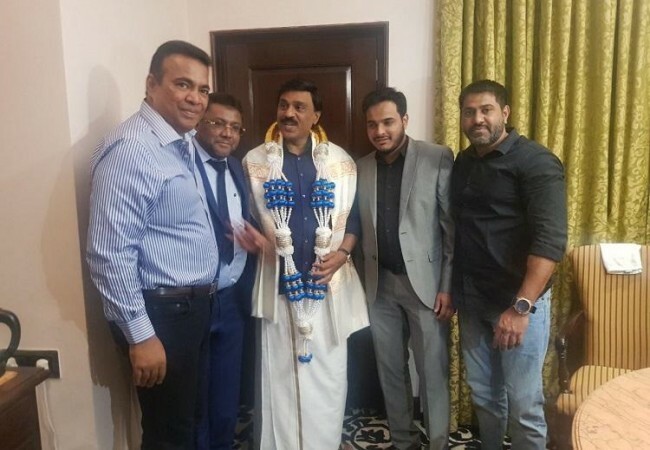 Former Bharatiya Janata Party (BJP) minister and mining baron Janardhana Reddy's aide Mehfuz Ali Khan surrendered before the court on Tuesday and was remanded to judicial custody after his anticipatory bail was cancelled by the sessions court in Bengaluru. Reddy was arrested earlier for his involvement in the Ambidant Marketing Pvt Ltd fraud case for receiving a fund of Rs 20 crore in the form of 57 kg of gold bullion and Rs 2 crore in cash from the owners of Ambidant through his aide Mehfuz Ali Khan. Reddy was granted bail on November 14. Mehfuz Ali Khan had earlier told the court that he had borrowed Rs 20 crore from the firm for some religious obligations, which he had promised to return. He got an anticipatory bail on November 5, which have been cancelled as the Crime Branch had approached the court believing that, if he is not questioned in police custody he is likely to flee and renege his promise on returning the funds. Meanwhile, the CCB police will request the court seeking Khan's police custody for 14 days. "Khan had filed an affidavit stating that he would return Rs 18 crore to the firm within 10 days on November 13. We will ask the court that we will only take him to places wherever he has to recover the money," an official said, reported The New Indian Express.